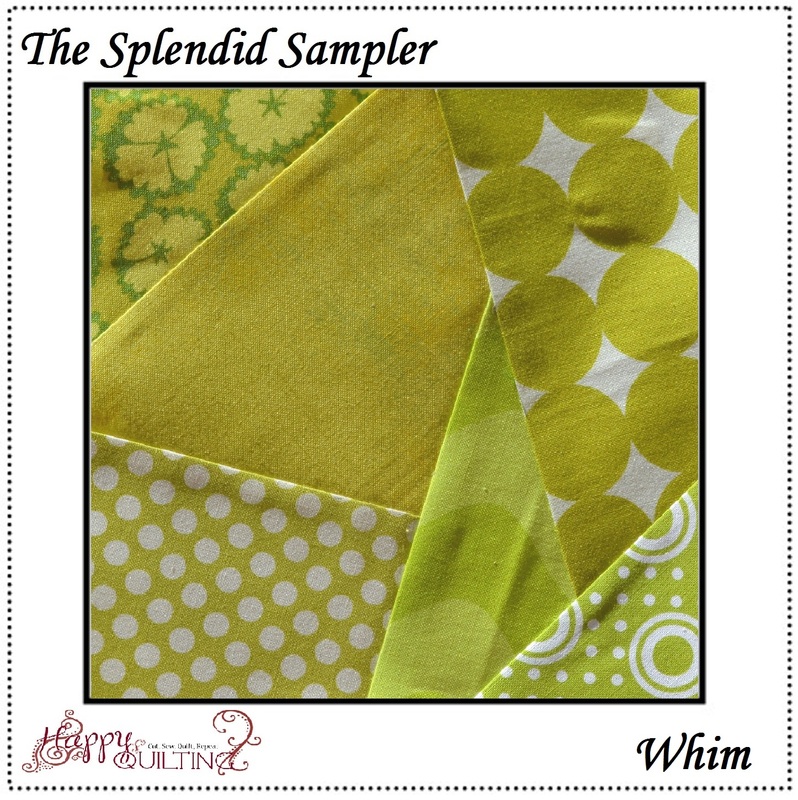 Happy Quilting: Splendid Sampler Saturday!!! 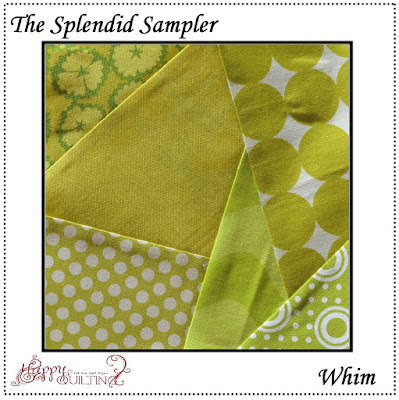 Time for another Splendid Sampler Saturday!!! 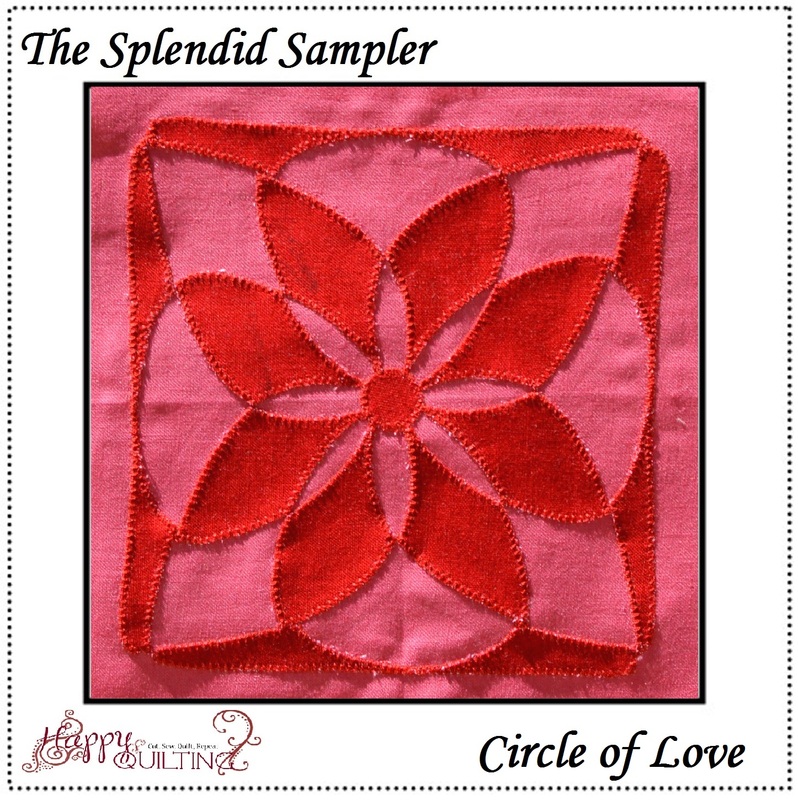 I am just loving this project, it is so fun to get to step away from everything and enjoy playing with new techniques each Saturday ;) So let's see the blocks!! 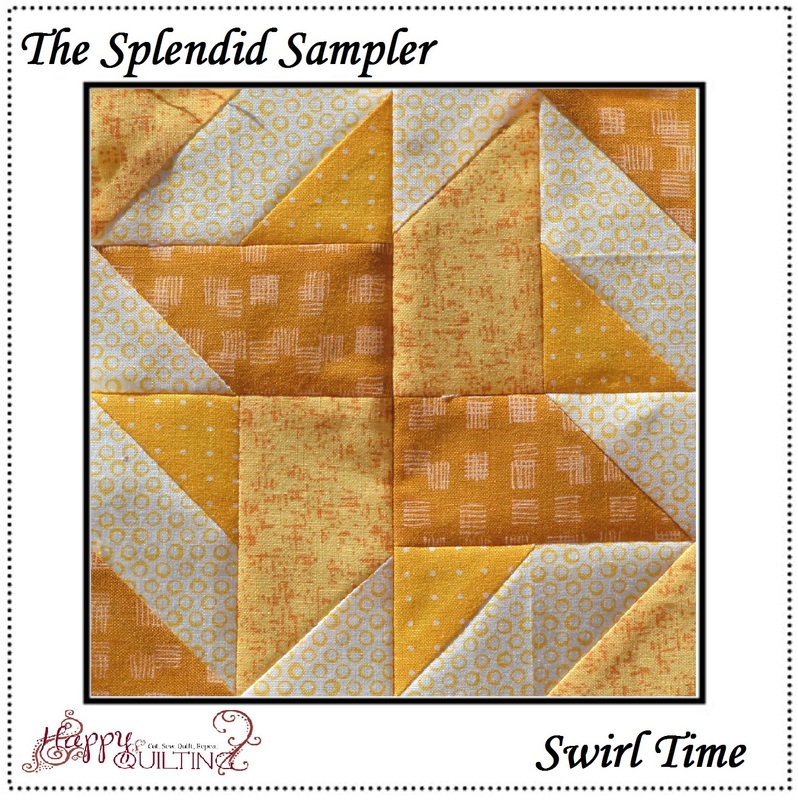 First up, the Swirl Time block designed by Sarah J Maxwell. 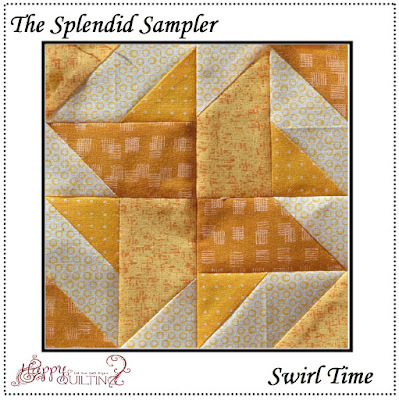 I always love coming back to some simple piecing :) It is just so fun to play with points and I loved how this one came together. The movement is just so great!